Will the Fed disappoint markets? The first Federal Reserve meeting in 2019 is taking place today and it will be the first one with a press conference without presenting macroeconomic projections at the same time (this change was announced in mid-2018). 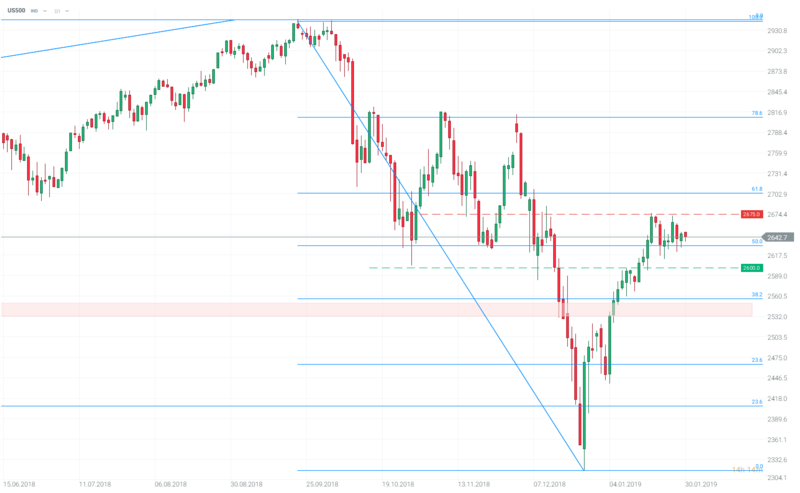 An increased volatility on financial markets and slowdown concerns resulted in expectations for much more dovish Fed - are they warranted? Since the meeting in December we have seen massive repricing of the Fed’s rate path. While the central bank suggested last month that it expected two rate hikes this year and another one in 2020, markets were much less optimistic. Based on the Fed fund futures there was no rate hikes priced in for 2019. Since then, market expectations have evolved to the downside suggesting that the Fed would stay on hold this year (in the meantime we have seen even a rate cut being on the cards in 2019). For the following year there are odds the US central bank will be forced to slash rate (14% chance it will happen in January 2020). Such disbelief shared among market participants could theoretically limit the downside for the greenback but the problem is the dollar is overvalued from a historical perspective and could find few reasons to rally without more interest rate hikes. Reverse QE: too early to end it? In recent weeks Federal Reserve members, both doves and hawks, has expressed the same notion that the US central bank needs to hold off on raising borrowing costs in order to assess the impact from previous rate hikes on the economy. They may have been prompted to share such the outlook due to surrounding fears regarding the global economic slowdown. The US is not an exception as a fading tax cuts’ effect as well as losses caused by a trade war with China are expected to weigh on GDP this year. Having said that, it would not be prudent to expect the Fed to declare that rates are not going to be increased. 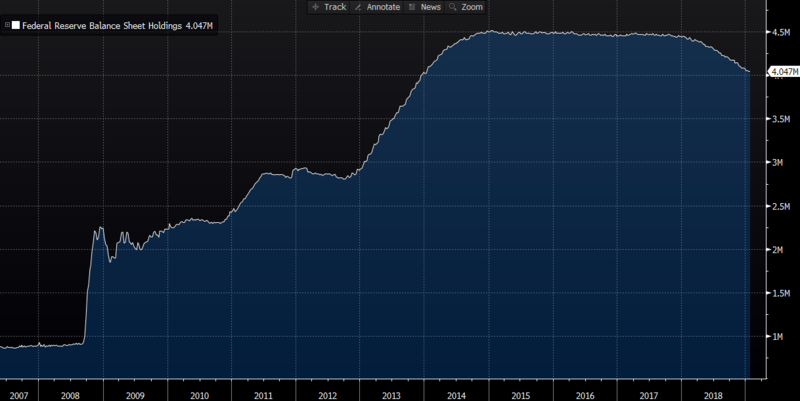 At the same time, the Fed keeps reducing its balance sheet at the pace of $50 billion per month (so called reverse QE) so even without more hikes we experience tightening. Markets would ideally see the Fed declaring no more hikes and a target date when the balance sheet reduction ends or at least pauses. However, it may be far too early for the Fed to make such an official U-turn - just a month after the last interest rate hike.